Joy De Vivre Design: Happy Birthday Pup! Today was Barkley's fifth birthday and I have officially lost my mind! We just got home from vacation, but didn't want to forget his big day. 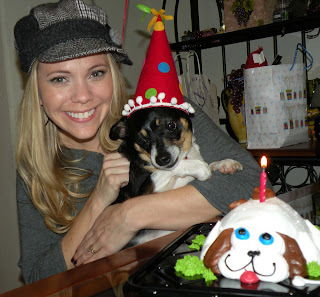 We threw a last minute party complete with family, friends, lovely gifts and a puppy cake!